Elizabeth Morales is a corporate attorney representing privately held companies, private equity funds and their portfolio companies, and lenders and borrowers in financing transactions. She structures and negotiates complex business transactions, including domestic and international mergers and acquisitions, senior credit facilities, mezzanine debt investments, corporate restructurings, executive compensation and incentive arrangements, and assists clients with other general corporate matters. In addition, she has experience counseling public and private companies in securities offerings and tender offers. 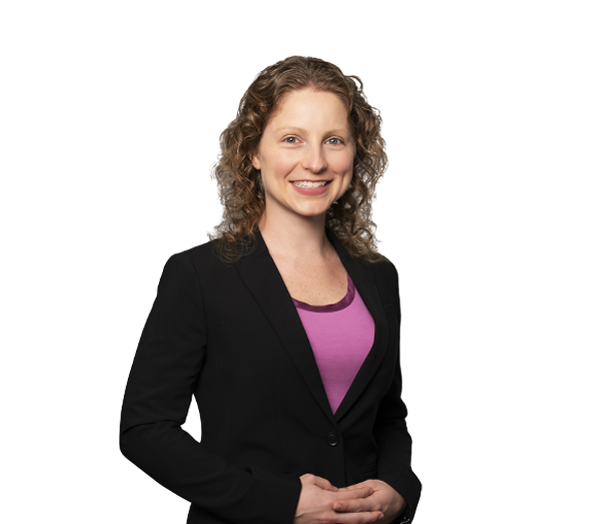 Prior to joining the firm, Elizabeth was an associate with Kirkland & Ellis LLP in Chicago. Represents a private equity firm in its acquisitions and investments in various middle market companies, primarily in the business services and consumer products sectors, and provides corporate counseling and governance assistance for its portfolio companies. Represents a small business investment company in equity and mezzanine debt investments and serves as primary counsel for the fund's portfolio companies, assisting with incentive compensation agreements, employment agreements, commercial contract review and other general corporate matters. Represents a privately held data analysis and marketing company in periodic strategic acquisitions. Represented a public company headquartered in the Netherlands in its acquisitions of metal stamping and metal surface treatment companies. Represented a private equity fund in the disposition of a building products company. Represented a founder-owned manufacturer of plastic cards (e.g. loyalty and gift cards) in connection with a strategic acquisition, recapitalization and financing, and subsequent auction sale to a private equity group. Represented a private company in its acquisition of substantially all of the assets of a manufacturer and distributor of automotive products from a private company seller. Represented a Charlotte-based public company in its strategic acquisition of a business engaged in the design, manufacture, distribution and sale of mechanical seals for aerospace and industrial applications. Represented companies in the defense and health care industries in connection with their strategic venture capital investments in early-stage companies. Represented a national health care corporation in its acquisitions and divestitures of dialysis clinics throughout the United States. Represented a closely held software company in its recapitalization and sale to a large private equity fund. Represented AmWINS Group Inc., a national wholesale insurance broker with significant private equity ownership, in the acquisition of a regional employee benefit administrator. Represented a public company in connection with the spinoff of certain divisions of its business into a new, stand-alone public company.